Available for iPad® and iPhone® as well as Android™ devices. Features and compatibility may vary by device/platform. File, amend and close VFR flight plans globally and IFR flight plans in the U.S. Turn your Android device into the ideal cockpit companion. 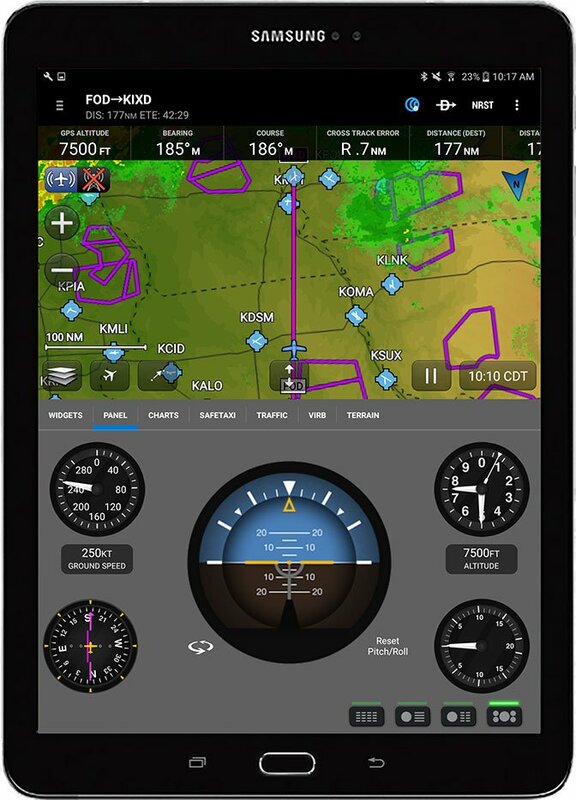 Garmin Pilot puts full-featured navigation — including our decades of experience with rich, interactive mapping, aviation weather, global flight plan filing, electronic flight bag capabilities, optional traffic/weather, pilot logbook and more — right at your fingertips. 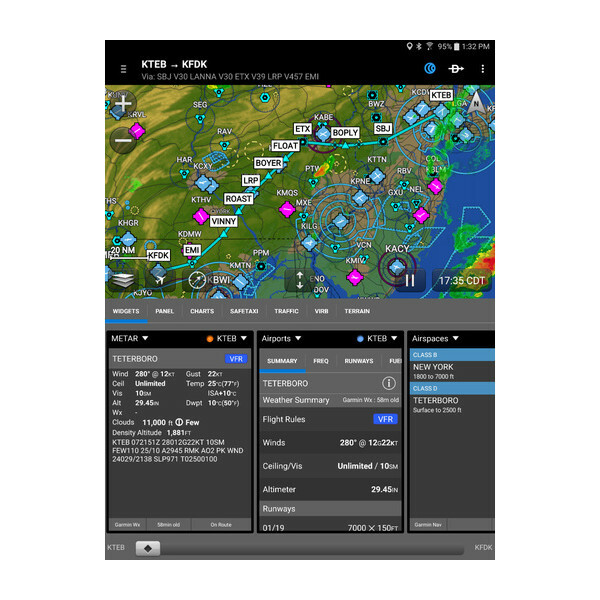 Garmin Pilot provides access to comprehensive worldwide weather data, including METARs, TAFs, AIRMETs, SIGMETs, winds aloft, NOTAMs and real-time lightning data. Animated radar, infrared and visible satellite imagery are available for the U.S., Western Europe, Australia and Canada. The exclusive NavTrack feature lets you preview how changing weather conditions might alter your flight. Garmin Pilot also allows users to establish personal minimums for VFR, IFR and wind speed in both day and night conditions. Start by entering your desired route into the flight plan form on the map tab in Garmin Pilot. From there, easily overlay weather, pan across the entire route, pinch to zoom for detail, or graphically modify any leg of your flight. Built-in calculators estimate fuel burn, en route legs and arrival times for your flight. Use preloaded forms to save and reuse clearance data for frequently flown flight plans. 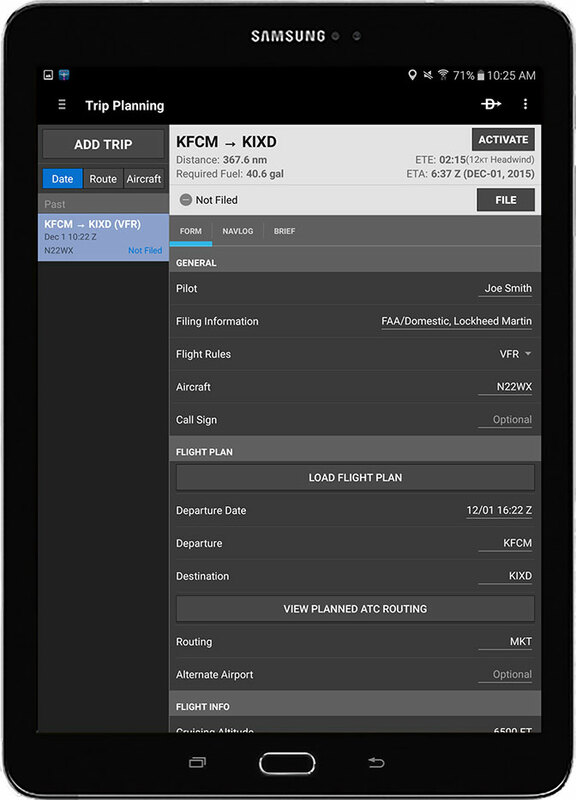 When your preflight planning is complete, you can easily file, amend and close the flight plan you create directly from your device. VFR flight plans may be filed from anywhere in the world, and IFR flight plans are supported in the U.S. 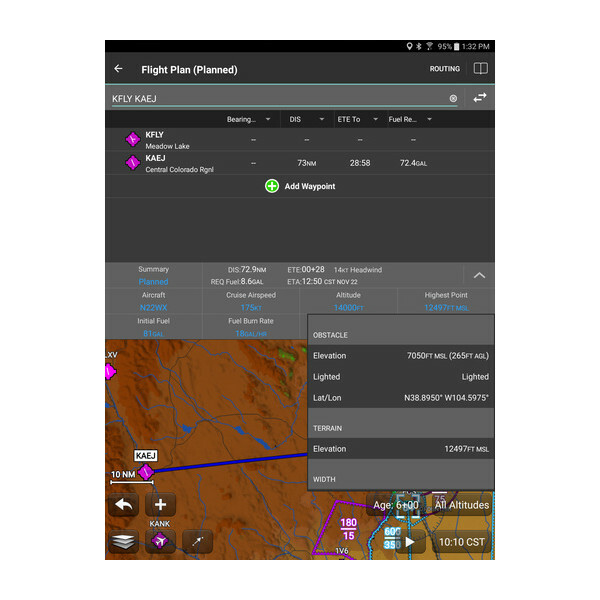 The Garmin Pilot app allows you to save your pilot, aircraft and flight plan information to the cloud so you don’t have to re-enter information every time you transfer devices. 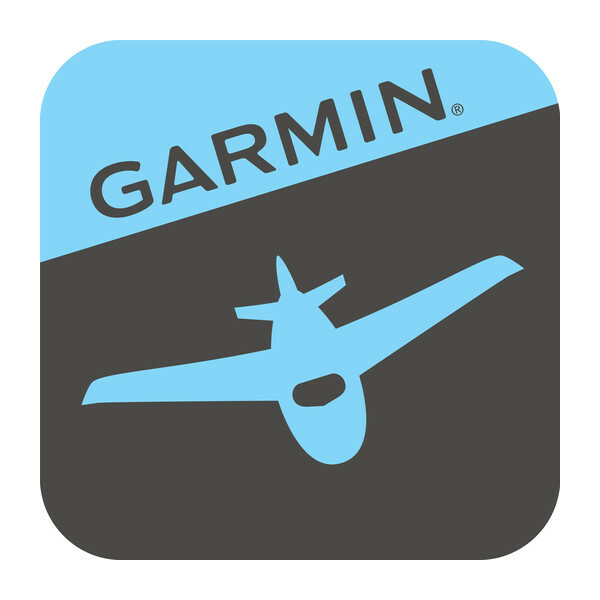 Just sign in to your Garmin Pilot account to access your pilot profile on either your device of choice or on flyGarmin. With Database Concierge, Garmin Pilot allows you to wirelessly update the aviation databases of your compatible avionics. 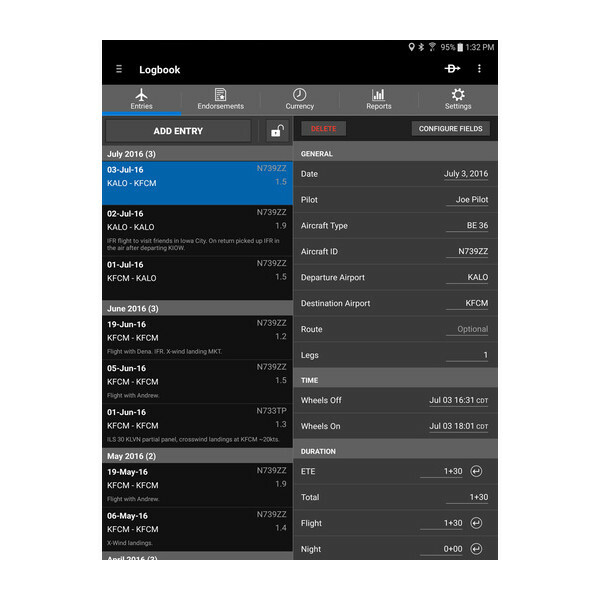 At home, you can simply select the individual databases on Garmin Pilot, download them, and then store them to your mobile device for later use. Once your device establishes a wireless connection in the airplane, Garmin Pilot transfers your up-to-date databases directly to the compatible avionics in minutes, where they’ll wait in standby until their effective dates. Using your device’s built-in GPS receiver, optional GDL 39, GLO™ for Aviation or Connext compatible configuration¹, Garmin Pilot provides full en route navigation on the rich, interactive moving map. 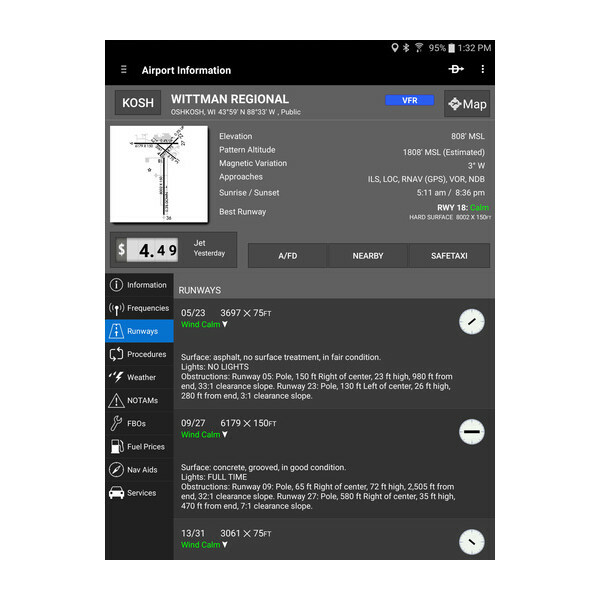 A unique Radial Menu provides easy onscreen access to create a user waypoint or navigate Direct-to as well as ability to view current weather conditions and airport/navaid information at a glance. Our patented Panel Page provides situational awareness, including a graphical HSI directional display and indicators for groundspeed, altitude, rate of turn and vertical speed. The app also automatically keeps track of your ETE, ETA, crosstrack error, distance to waypoint, current position and much more. Garmin Pilot also incorporates cruise, climb and descent performance tables to increase the accuracy of ETE and fuel burn calculations for your flight. With an optional GDL 39 or Connext-compatible configuration¹, you can receive ADS-B datalink weather or traffic while flying in the U.S. Our patented TargetTrend™ relative motion tracking technology offers a faster, more intuitive way of judging aircraft trajectories and closure rates in relation to your aircraft's flight path. TerminalTraffic™ technology provides pilots with the most comprehensive picture of ADS-B-equipped aircraft and ground vehicles in the airport environment. The airport environment is easier to understand with SafeTaxi® diagrams overlaid on the moving map, including references to runways, taxiways, hangar locations and more. 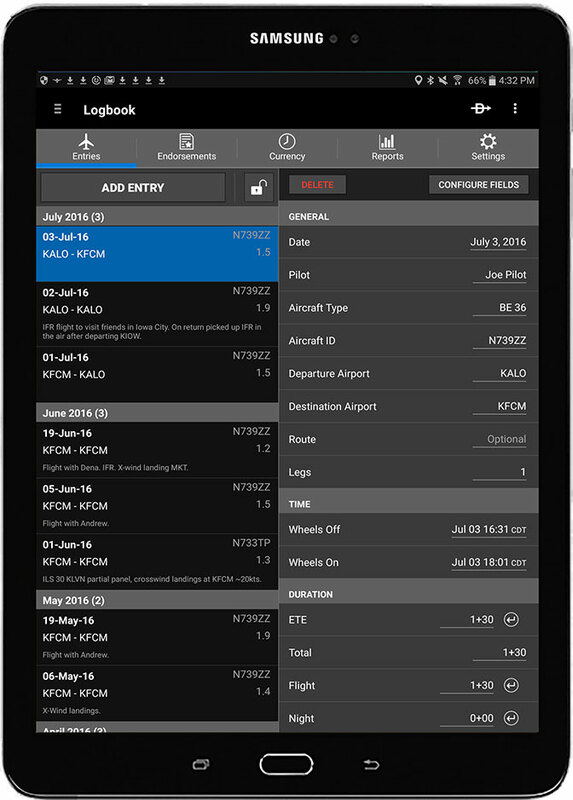 Garmin Pilot tracks date, time, aircraft, arrival/departure airports, landings, remarks, aircraft category, flight conditions, endorsements and more. And because we know all about your flight, we’ll automatically get your logbook started by logging your total time from takeoff to landing, including the times in either day or night conditions. And to help further track currency, Garmin Pilot automatically tracks the number of takeoffs and landings in either day or night conditions. 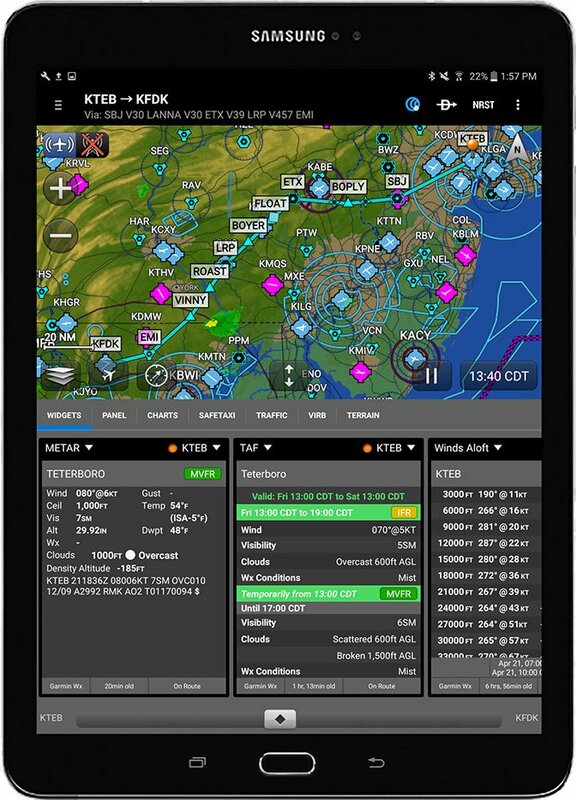 Best of all, this information automatically syncs with the cloud and is accessible across devices with Garmin Pilot as well as flyGarmin. ¹Check Supported Devices for the latest compatibility information.